Sometimes anti-Semitism is visible for all to see. But sometimes, prejudice lingers as a historical stain — one that we haven’t yet washed away. The Holocaust-era looting of Jewish art and other cultural goods fall into the latter category — and that’s why I recently wrote a letter to European Parliament President Antonio Tajani to address the issue. As historians have noted, the Nazi regime devoted extraordinary attention to the theft of artwork and other items of cultural value. Nazi looting wasn’t simply opportunistic, spoils-of-war behavior. It was a planned, systematic campaign that reflected the priorities of Nazi leadership. Hitler, for example, fancied himself an art connoisseur, and amassed an enormous collection for a planned Führermuseum in his hometown of Linz, Austria. (It was never built.) Likewise, Nazi second-in-command Hermann Göring collected art with an avarice exceeded only by his indifference and cruelty to the people from whom it was stolen. But the Nazi regime didn’t just steal to flatter the vanities and cultural pretensions of its leaders. The Third Reich also sold artworks to fund the war effort — in effect forcing European Jews and others to finance their own destruction. Many Jewish families saw their personal collections stolen outright, and others were forced to “sell” under coercive conditions. The scale of Nazi looting and cultural destruction staggers the imagination. According to the Polish Ministry of Foreign Affairs, the Nazis looted 516,000 individual works of art that were registered after the war. In addition, the Third Reich plundered 22 million volumes from more than 37,000 libraries, as well as from individual citizens’ private collections. Efforts to recover these lost items began even before the war ended. In 1943, the Allied armies organized the Monuments, Fine Arts and Archives program to help protect cultural property in regions affected by the war. (These personnel came to be known as the Monuments Men, though women played key roles as well.) A year later, the U.S. government launched the Art Looting Investigation Unit (ALIU) within the OSS (the precursor to the CIA). In the decades since World War II — and thanks to the work of governments, organizations and individuals around the world — many cultural treasures looted by the Nazis have been restored to their owners. Nonetheless, according to the State Department, approximately 100,000 works of art remain missing. More gallingly, some stolen art remains in the wrong hands — including the descendants of Nazi officials. These injustices must be addressed. My letter to President Tajani, signed by 15 of my House colleagues, began by applauding Tajani’s recent statements combating anti-Semitism. In addition, we thanked him for passing legislation in January acknowledging the still- missing works of art. But we also pressed for increased action from the European Parliament and EU member-states, and called for continued cooperation between those nations and the United States. Over the last several decades, governments have signed the Washington Declaration on Holocaust-Era Assets (1998) and the Terezin Declaration (2009) to ensure that looted art is returned to its rightful owners. And in 2016, President Obama signed the Holocaust Expropriated Art Recovery (HEAR) Act to ensure that claims to Nazi-confiscated art are adjudicated on their merits — and not blocked through technicalities. Despite these efforts, we have yet to achieve full compliance, and several European nations refuse to fulfill their commitments. Jewish and other victims of the Nazi regime suffered in ways that still shock the conscience — and today, we see a troubling resurgence of anti-Semitism. Addressing these ugly sentiments requires a multifaceted cultural response. But other wrongs are easier to correct — and undoing Nazi thefts should be among them. It has been more 70 years since the end of the Holocaust, and survivors deserve justice. The United States and Europe can deliver that justice through the legal system. By doing so, we will reaffirm our respect for the rule of law — and reject bigotry in all its forms. 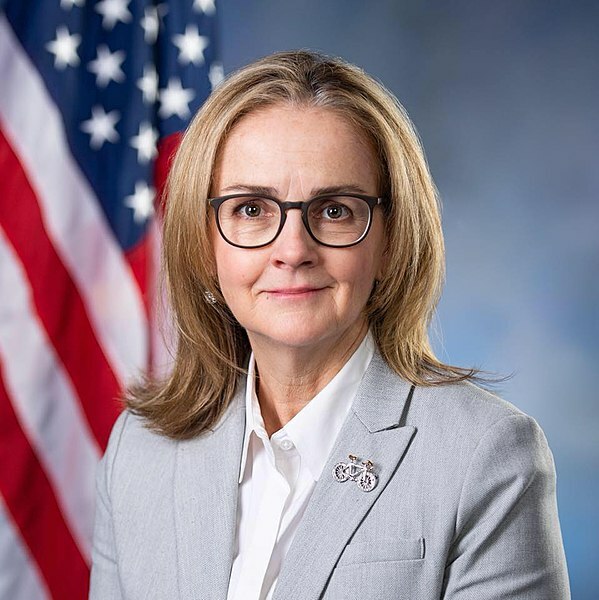 Madeleine Dean represents Pennsylvania’s 4th Congressional District.